A brand new cozy mystery series from London Lovett. 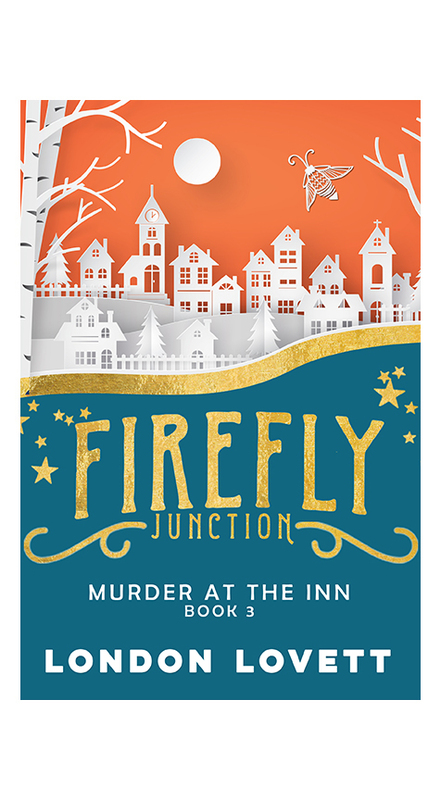 With a fresh new cast of lovable, quirky characters, a new amateur sleuth and a fun paranormal twist, Firefly Junction is sure to become a new favorite! 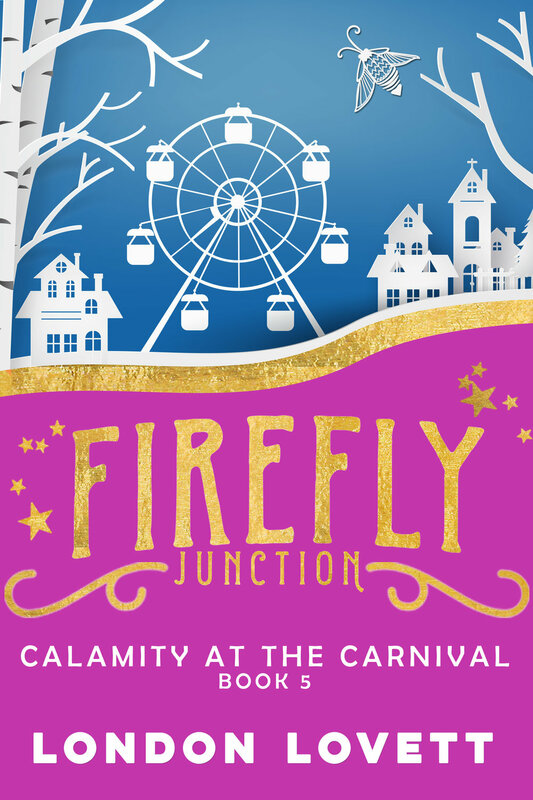 With her social life and writing career in tatters at the ripe old age of thirty-five, Sunni Taylor decides to pack up her things and join her sisters, Lana and Emily, in the small town of Firefly Junction. Hoping to open a bed and breakfast, Sunni sets herself the task of refurbishing the rundown Cider Ridge Inn, a two-hundred-year-old house with a sordid past. In the meantime, she's stuck writing dull human interest stories for the Junction Times. But when Sunni decides to bend the rules on her first newspaper assignment, she soon finds herself in her favorite place—right in the center of a murder investigation. Now if she can just steer clear of the cocky, irritating and far too appealing local detective, Brady "Jax" Jackson. It isn't long before Sunni discovers that avoiding Jax is a piece of cake compared to the staying clear of the equally cocky, irritating and far too appealing two-hundred-year-old ghost haunting the halls of the Cider Ridge Inn. Journalist Sunni Taylor is working hard on restoring the Cider Ridge Inn to its former glory so that she can open a bed and breakfast, but Edward Beckett, the resident ghost, is not exactly helpful. Still, Sunni has grown used to having the arrogant gentleman spirit hanging around. Despite her busy life, Sunni offers to help her sister Lana set up a bridal shower camping party in the mountains behind the inn. The festivities end in disaster when the maid of honor ends up dead. Now Sunni finds herself back in the center of a murder investigation and face to face with the absurdly charismatic Detective Brady Jackson. Sunni is determined to beat the detective to the clues and solve the murder mystery herself. When the Applegate Paranormal Preservation Society visits Firefly Junction, Sunni Taylor finds herself tasked with writing an article about the group as well as hosting them for an evening at the Cider Ridge Inn. When the society moves on to their next destination, the famously haunted Dandelion Inn in the neighboring town, one member dies in a tragic fall. But things don't seem quite right at the accident scene and soon Sunni finds herself wrapped up in a possible murder investigation with her favorite detective, Brady Jackson. 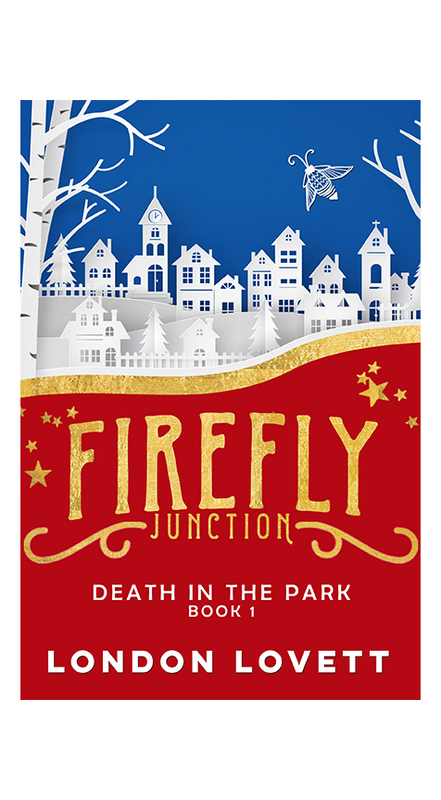 It's holiday time in Firefly Junction but not everything is sweet sugarplums and glittery tinsel. Sunni Taylor has been too busy to get into the holiday spirit, even with her mom coming to town for a visit. Her festive spirit gets a spark when Detective Brady Jackson asks her to attend the town's production of A Christmas Carol. But when the holiday classic takes a grim turn, Sunni's date night turns into a murder investigation. And in the middle of a winter festival, Sunni and Jackson must figure out who killed Ebenezer Scrooge.